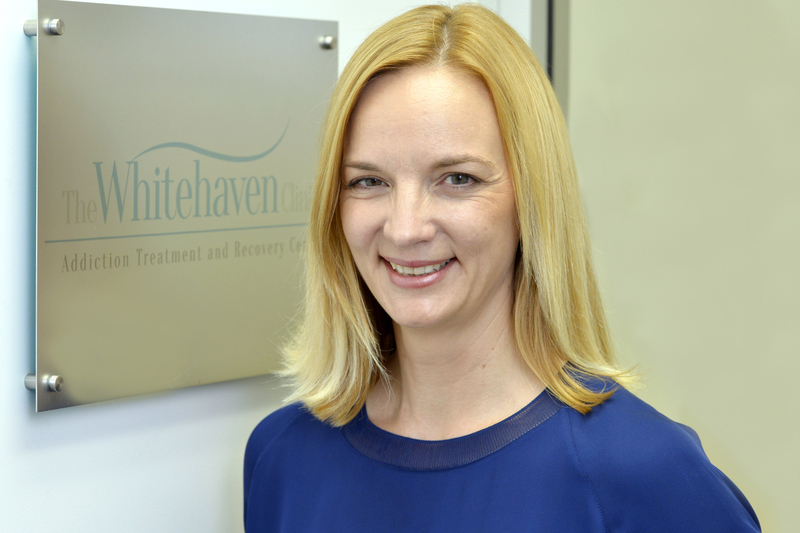 The Whitehaven Clinic is a specialised day rehabilitation centre dealing in addiction treatment and recovery using a unique and highly-successful Whole of Life approach. Our highly-personalised, intensive programs are designed for self-referred and specialist-referred clients who want to remain connected with their families, work and support mechanisms whilst completing a recovery program. Addiction is not an illness. Substance use and addictive behaviours are caused by underlying factors which create the dependency. Whether your problem is with alcohol, drugs or gambling, we’ll help you discover the root cause of your addiction and then show you practical ways to overcome it. Our goal is to replace your old, unhealthy life and mindset with new, healthier ideals and goals. Our programs help create permanent solutions to sobriety and non-addiction by offering a personalised, holistic treatment plan for each individual client. Tabitha Corser is the founder and Program Director of The Whitehaven Clinic. As a personality profiler who has studied in the US, UK and Japan for the past 19 years, Tabitha’s specialty is identifying the root-cause of addictive behaviours. This is fundamental for clients to help them understand the root cause triggers and behaviours leading to problematic drug and alcohol use. A strong advocate for opening the dialogue around addressing drug, alcohol and gambling addiction, Tabitha frequently appears in the media commenting on government strategies, funding for drug rehabilitation centres and dispersing the myths of addiction. She has appeared on Today Tonight, Channel 7 and Channel 9 news and The Daily Edition – as well as speaking on Gary Adshead’s 6PR morning talkback show, ABC radio, and been quoted in articles in The West Australian, Sunday Times and Herald Sun, as well as numerous online mediums and blogs. Tabitha is the creator of the Addiction Recovery Process – a program of work designed to assist clients in identifying the underlying root cause of addictive behaviours as well as a road map to improving the overall quality of life for clients. Tabitha also created, and facilitates, the Addiction Recovery Program into Hakea and Casuarina maximum security prisons. The introductory program was so successful that it has been expanded to a five-week program at Casuarina Prison. As a Department of Corrective Services Authorised Visitor, Tabitha also provides one-on-one counselling and a modified Addiction Recovery Process Program to prisoners in all the metropolitan prisons. Prior to establishing The Whitehaven Clinic, Tabitha trained as a Drug & Alcohol Office (DAO) Drug & Alcohol Counsellor and spent 4½ years as a counsellor at Mission Australia’s South East Metro Community Drug Team. In this team she worked with a diversity of self-referred and court-mandated clients. She was also the facilitator of the Brief Intervention Drug & Alcohol Program at Hakea Prison working directly with self-referred maximum security prisoners. Addiction of any kind is a deeply destructive force. It not only destroys the life of the addict, it also has a massive impact on those around them; their family, friends, work colleagues and their community. People use their addiction as a coping strategy. They see it as a way to self-soothe or self-medicate in an effort to become happy again. And yes, it works for a short time. Then the use itself becomes problematic and brings with it a host of other issues; financial, personal, legal – and starts to seriously affect relationships, families and careers. Addiction is never about the substance itself – it’s always about what the substance is trying to cover in an effort to avoid, deny or forget. We call this the root cause of the addiction problem and it’s the key to our successful treatment. Once we’ve worked one-on-one with our clients to clearly identify the root cause of their addiction, we can begin the restoration process. Our methods are sometimes complex, but our goal is very simple to understand. We aim to replace your unhealthy, destructive lifestyle with a new, positive healthy one. Whatever the addiction, there is always a root cause. Once we have identified the reasons behind your particular addiction, we can focus on developing a better quality of life. Using self-empowerment, we can take you from your unhealthy state of mind into a healthier, happier place where you will reduce the need to self-soothe through drugs, alcohol, gambling or any other addictive behaviour.